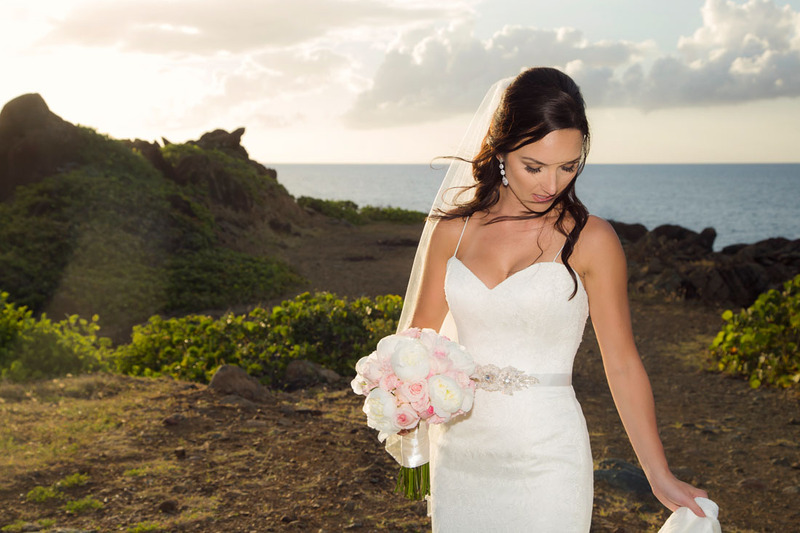 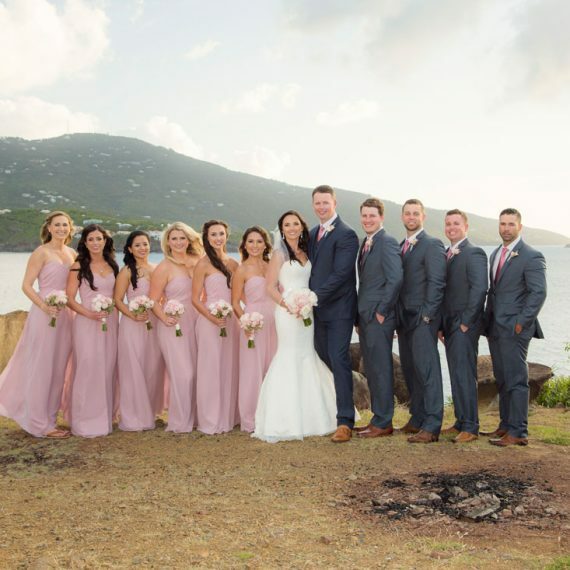 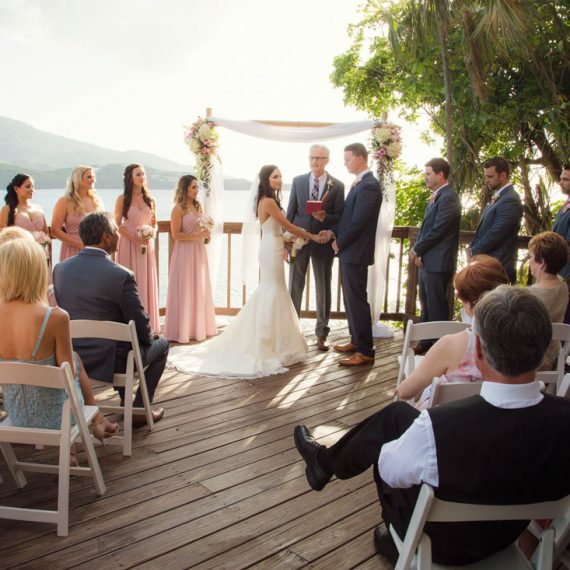 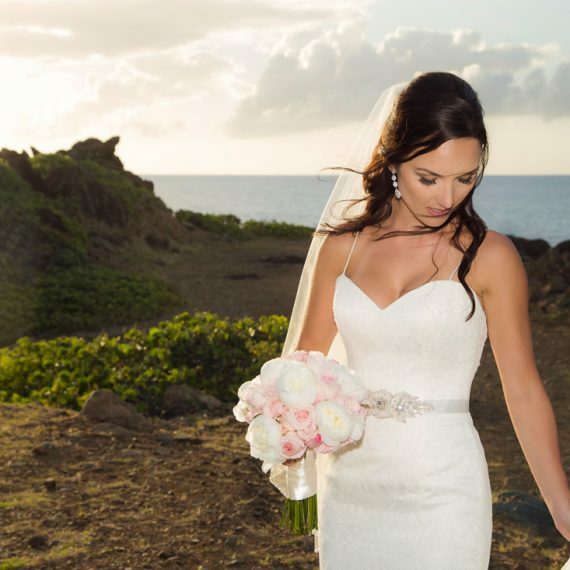 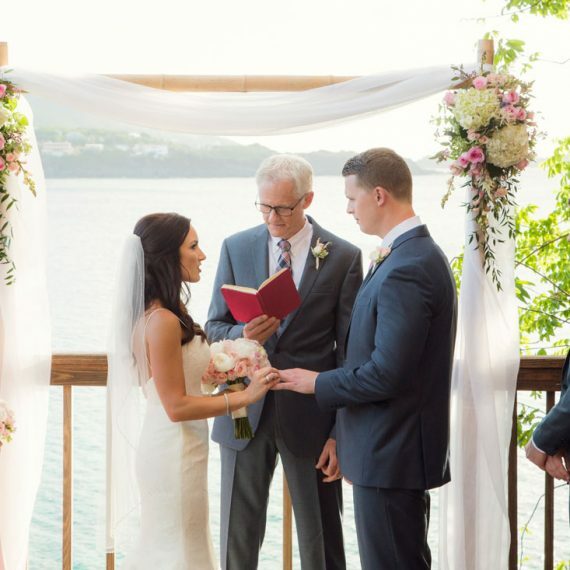 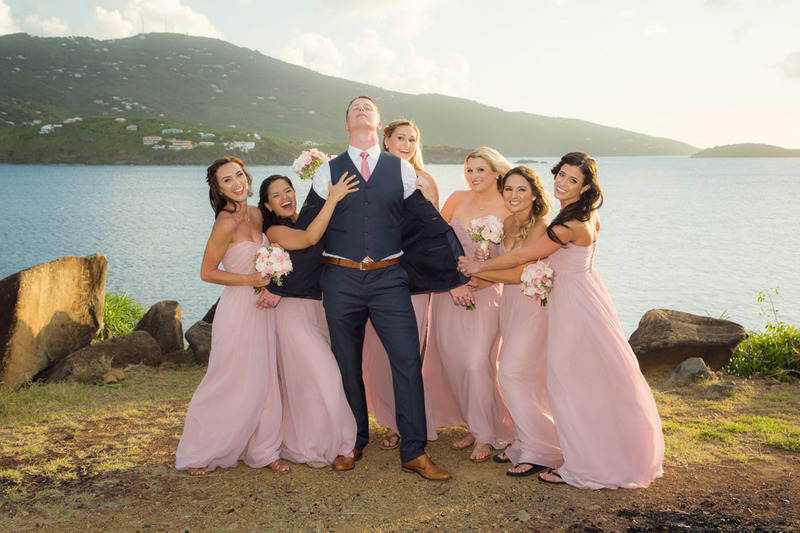 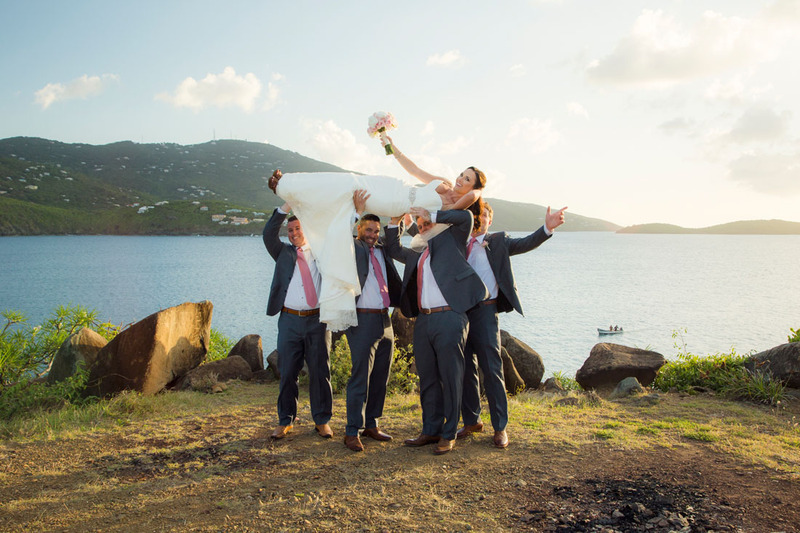 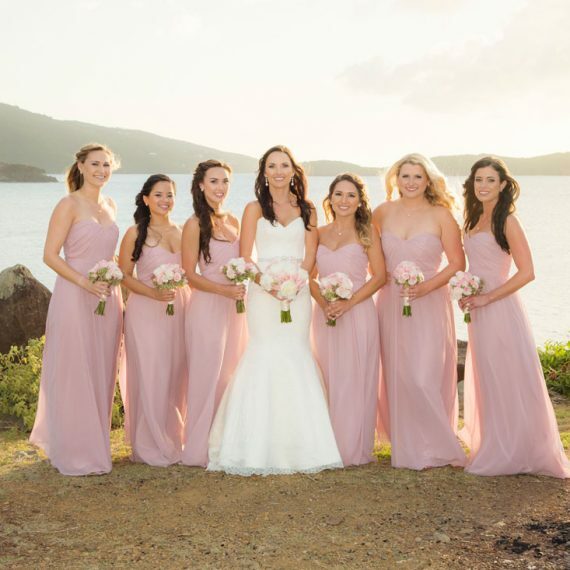 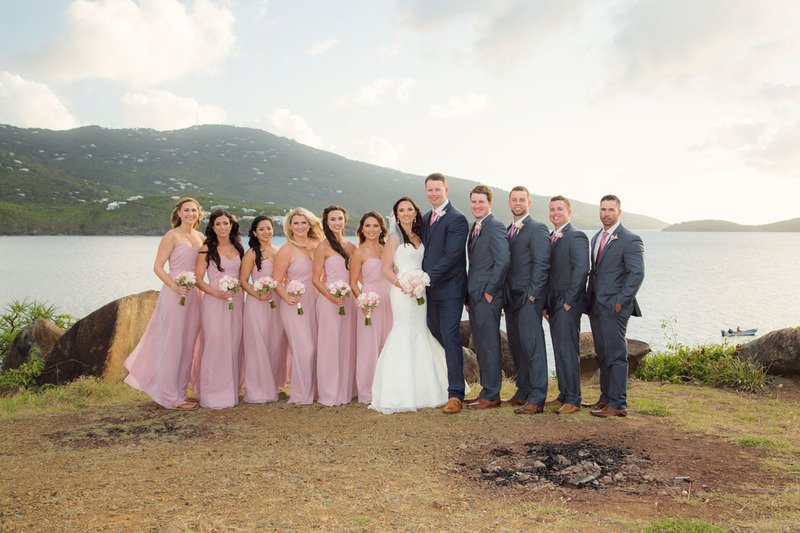 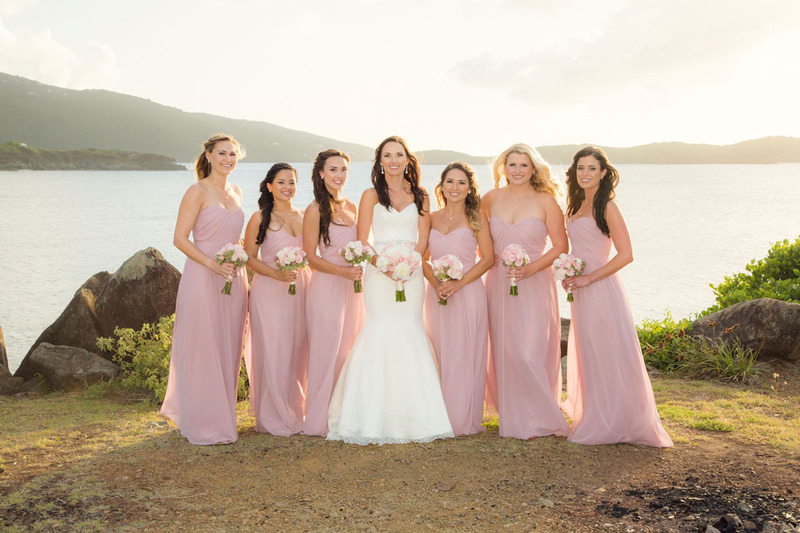 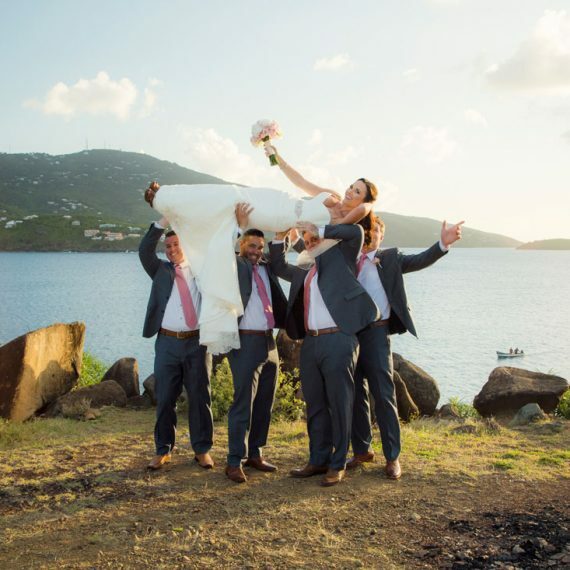 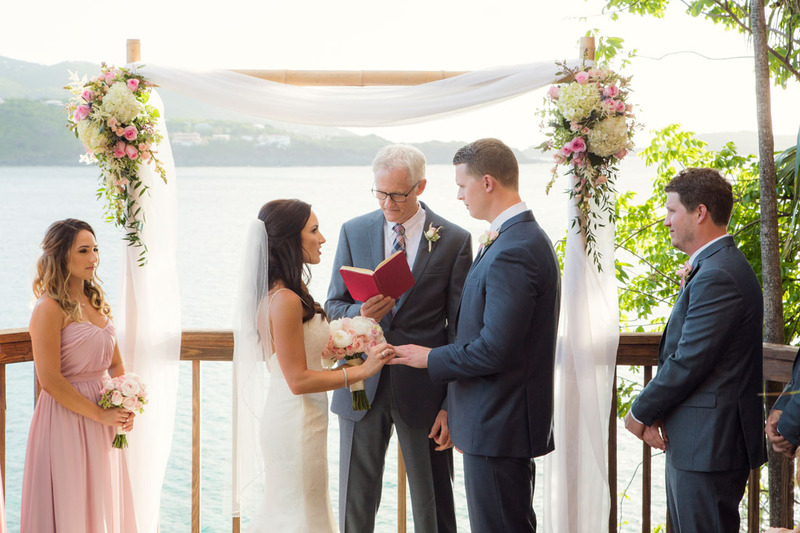 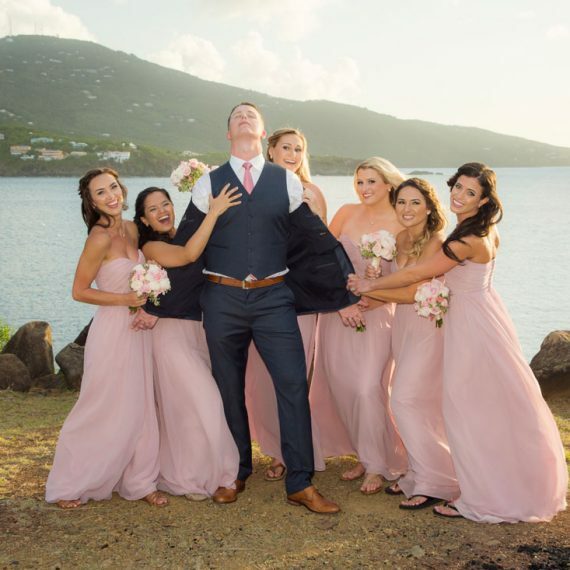 This romantic, elegant wedding took place at sunset on the cliff of Peterborg Point, overlooking Magens Bay in St. Thomas. 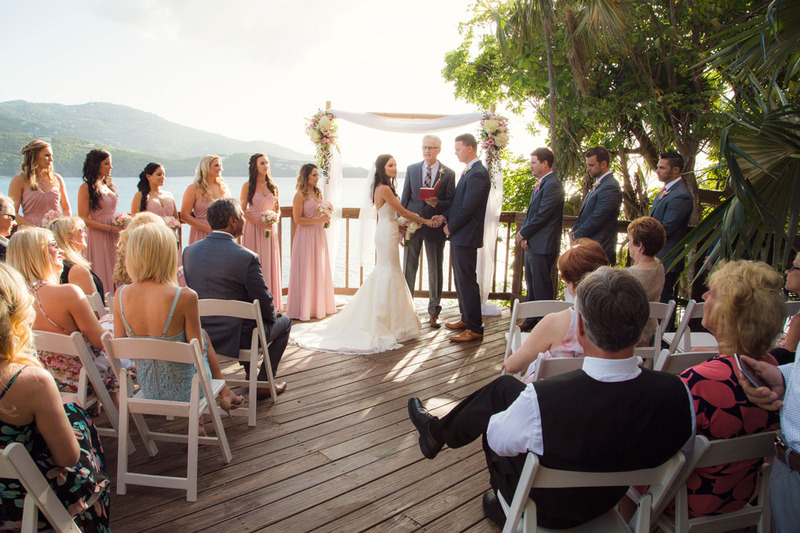 The reception was held at the Coral Gardens Villa near-by. 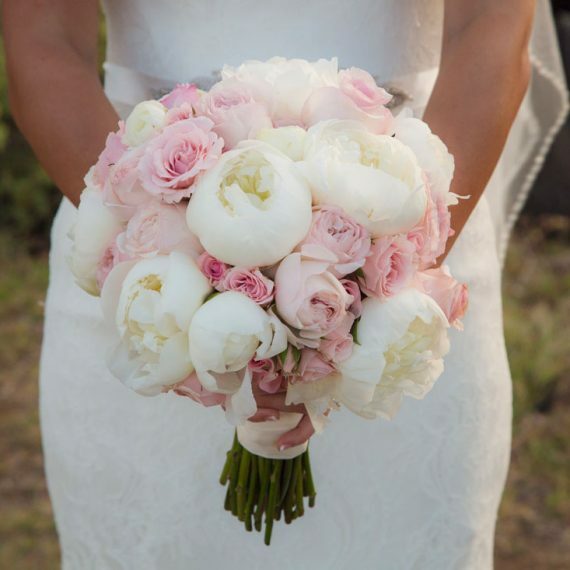 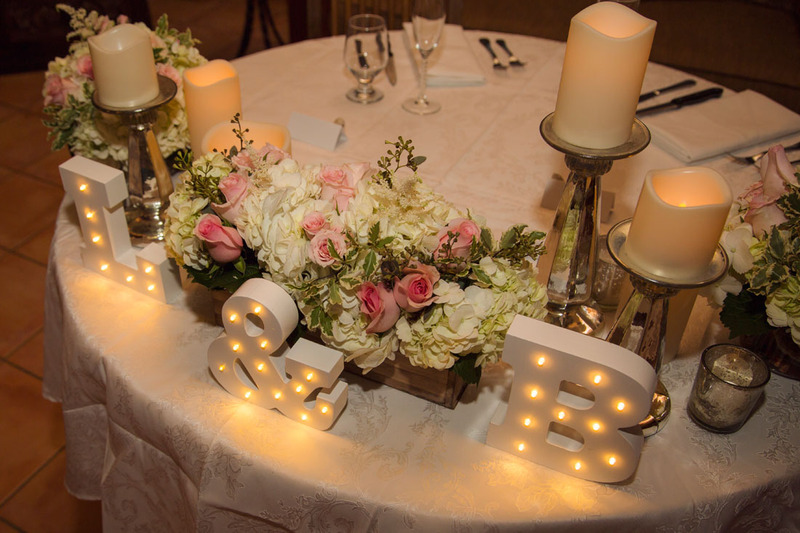 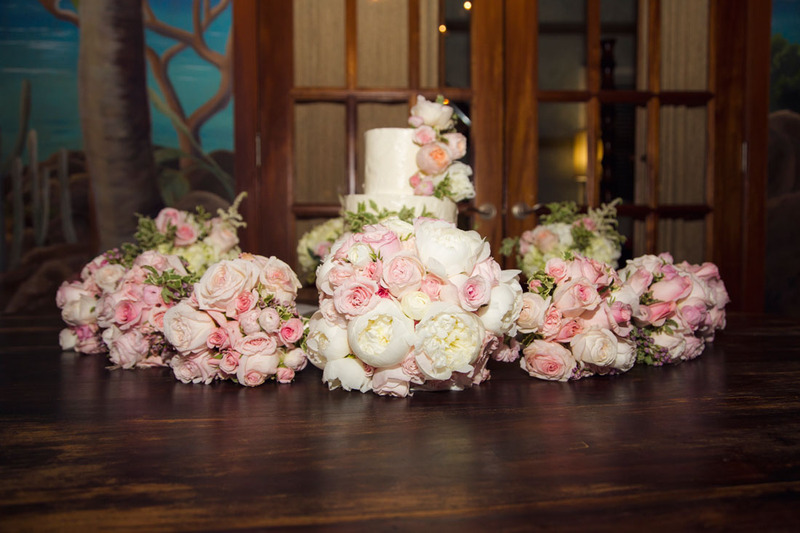 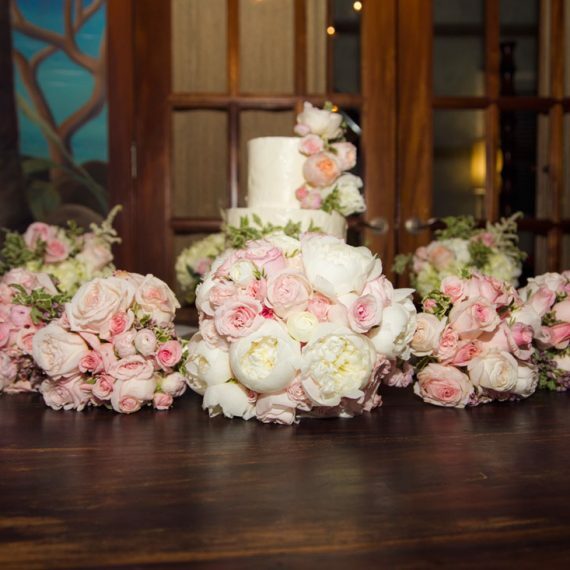 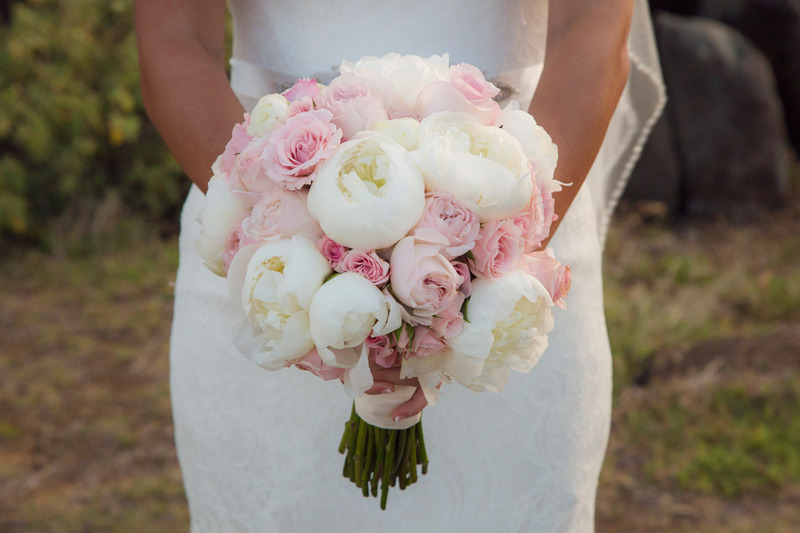 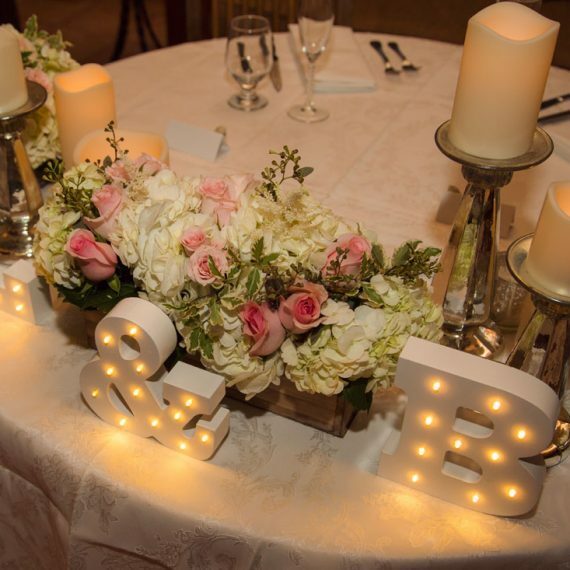 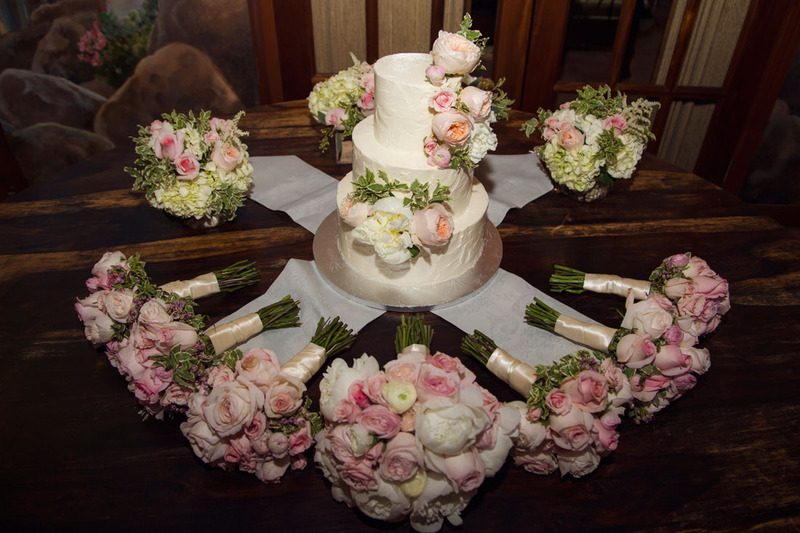 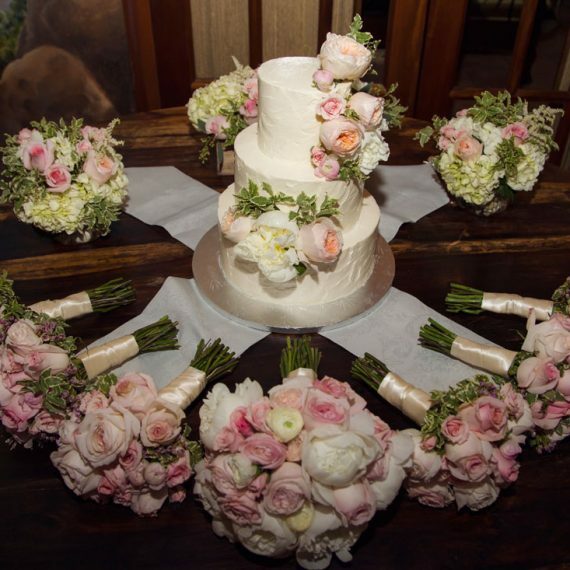 The white and pink themed centerpieces, table displays, floral cake and bouquets by East End Flower Shop transformed the ceremony into a magical, romantic evening.